The students will be out December 21st through January 5th. Students will return to school on January 6th. Thank you to everyone who came out to our Barnes and Noble event and to the Holiday program last Thursday. As always, we love to see you as we support our wonderful Harbins children. We are looking forward to a great week as we head into Winter Break. 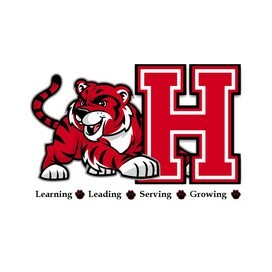 It's GREAT to be a Harbins Tiger! 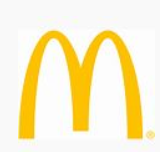 McDonald's in Dacula Spirit Night is Wednesday, January 6th. A percentage of sales come back to Harbins. 3rd-5th grade students will participate in the Georgia Student Health Survey beginning January. Please read the attached information. Thank you! Shopping for a device for your student this holiday season? Please refer to this guide developed by Gwinnett County Public Schools to help inform your purchase. Christmas is a great time to order your 2015-2016 Harbins yearbook! Sales are up this year and quantities are very limited. So please don't delay and miss out on your opportunity to have this great memory for your child. We will be having a blood drive at Harbins January 11, 12-5 pm. Please go online to http://www.redcrossblood.org/ , keyword Harbins and register today to give blood! All the blood that is donated at our site goes directly to Gwinnett Medical Center. If you or someone you love has ever needed a blood transfusion, you know that it saves lives everyday!! The Red Cross is at an all time low, they need your blood and platelets. Please log in now and use the key word Harbins to sign up for a time. If you have any questions, please don't hesitate to call Ms. Samples in the clinic. Thank You! Have your children outgrown their clothes? Do you wish there was someone you could donate them to, that you know they will be used ? Please consider donating pants,shorts,leggings, underwear (girls &boys) and socks to your child's school clinic. Everyday we have kids that fall in mud puddles, spill milk on their clothes, and have bathroom accidents. They change their clothes here in the clinic, and most of the time, these clothes never get returned for someone else to use. So, this year when you are going thru clothes that your child has outgrown or just doesn't like the way it fits anymore, please consider donating then to the clinic. You may send them in a plastic bag, labeled clinic, or just ask your child to bring them by on their way to class in the morning off the bus. Thank you so much!! Check out this video of this year's TOTY banquet. Congratulations, Mrs. Connor! IMPORTANT! Please take a moment to view this letter that provides essential information about the Georgia Milestones results. 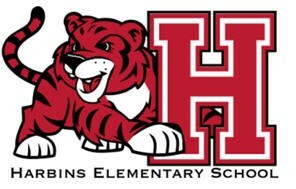 If you have any questions, please feel free to contact your Harbins administrative team. Results should be released by the state soon. Please check out the following so that you can be informed. Please take a few minutes to complete this very important survey. Your feedback will be a part of our schools CCRPI score, and it is important for us to hear you! Please make sure that if your child has a transportation change for the day that you send in a note with the student that morning. If you have a meeting at the school at the end of the day and you have made arrangements with the teacher for the child to stay with them you would also need to send in a note. Please remember that all visitors to the school must enter through the front doors and sign in. Each visitor should wear the yellow name tag at all times while on school grounds. Teachers and staff are engaged with children from 7:45 a.m. until 3:15 p.m. Please help us preserve that time. We ask that if you need to speak with a staff member, you set up a time with that person. This way, we can ensure we are devoting our attention to the children in the building and making sure we meet your needs. Please use the following link to locate the current promotion criteria. Wear your favorite Tiger spirit shirts on Friday to show your school spirit! 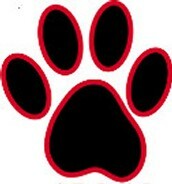 Help your class win the School Spirit Paw!